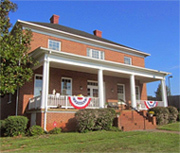 Franklin County Virginia Historical Society provides family history and geneology research assistance. Franklin County Historical Society provides research assistance. Our volunteers do the work and all money collected goes into our operating fund. We request a donation of $20 per hour for research - plus copying fees (25 cents for copies from our holdings and courthouse documents). Send as much information as you can to make the job easier. Especially important are approximate or actual birth/death dates as many old Virginia families used the same names over and over in the various generations. Send as much of your ancestor's name as possible and include "guesses" about given names and nicknames that may have been recorded. 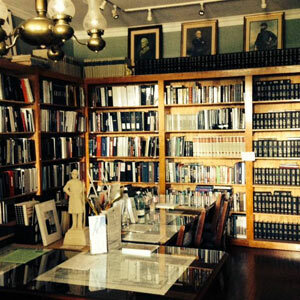 Our research library contains hundreds of resource books, thousands of surnames – and a huge collection of material pertaining to the War Between the States. We also have resources for the Revolutionary War, War of 1812 – and other military events – to assist in membership applications for the various heritage organizations. Let us know what you'd like us to find: marriage/birth/death records, wills, deeds, other court documents, family connections, information for UDC or DAR membership, etc. We do the work, send it to your postal address with a request for a donation for time spent and copies. Let us know how we can help you as you dig for your roots or explore aspects of Franklin County history. A list of Family Surnames in Our Hanging Files, items in the Billie Redding Lewis Special Collection, and Family Books Available in the Research Library.